Astor + Blue Editions is proud to present, Dead End Deal [ISBN: 978-938231-14-8 (paperback); Fiction Thriller; US $12.95, CAN $13.95; 334 pages; Pub Date: January, 2013 (paperback)], the first of a series of stand-alone medical thrillers to be published by Allen Wyler. In the tradition of Robin Cook, Wyler weaves a fast paced action suspense plot centered on cutting edge medical techniques. In this case: A true to life, plausible cure for Alzheimer’s Disease. World renowned neurosurgeon Jon Ritter is on the verge of a medical breakthrough that will change the world. His groundbreaking surgical treatment, using transplanted non-human stem cells, is set to eradicate the scourge of Alzheimer’s disease and give hope to millions. But a radical anti-abortion group resorts to violence to stop it. Faced with a dangerous reality but determined to succeed, Ritter turns to his long-time colleague, corporate biotech CEO Richard Stillman, for help. Together, they conspire to conduct a clandestine clinical trial in Seoul, Korea. But the danger is more determined, and more lethal, than Ritter could have imagined. After successful surgical trials, Ritter and his allies are thrown into a horrifying nightmare scenario: The trial patients have been murdered and Ritter is the number one suspect. Aided by his beautiful lab assistant, Yeonhee, Ritter flees the country, now the target of an international manhunt involving Interpol, the FBI, zealous fanatics and a coldly efficient assassin named Feist. Dead End Deal is a fast paced, heart-pounding, and sophisticated thriller. Penned by master neurosurgeon, Allen Wyler—who often draws from experience, actual events and hot-button issues when writing—Dead End Deal is unmatched as a technical procedural. And yet, the technical expertise is seamlessly woven into a riveting plot, with enough action and surprises to engross even the most well-read thriller enthusiast. A smart, unique, page-turner, Dead End Deal delivers. NOTE : Dead End Deal, along with Wyler's other e-books (Dead Ringer, Dead Wrong, Deadly Errors) will be on $0.99 promo through the month of October on Amazon and B&N (http://amzn.to/1pqgvjc) (http://bit.ly/1vTW83S). Hope you all enjoy reading his books! Q: What inspired you to write Dead End Deal? A: Good question. Like all my plots, the kernel came from a real life experience. At the time, I was working as the Chief Medical Officer for a start-up medical device company and was on a business trip to Seoul. As is often the case when traveling across numerous time changes, it was hard to sleep. At 2 am, while sitting at my hotel window looking at the lights of the city, I got to wondering how it might feel to be trapped in a foreign city without my passport, language fluency, or the means to escape. On top of that, what if I were accused of a felonious crime I hadn’t committed? What would I do? How would I manage to escape? The questions became so appealing, that I started hammering out a plot to encompass this situation. Because I love to put up roadblocks for my protagonist, the problem of how to reenter the United States without a passport became an interesting challenge. It was a fun book to write. Q: How do you get your ideas for stories? A: My ideas spring from various things that happen to me during a day. I can be doing just about anything and some small facet about it may spark an idea. More often than not, I mentally toss the idea around until it’s got so many holes in it that I reject it and move on. Rarely does an idea hold up to real scrutiny. But when it does, it’s one I believe I can work with. Cutter’s Trial, for example, is a non-thriller which will be released by Astor+Blue next year. It came from a malpractice suit against me years ago. It was, in fact, the basis for the first novel I ever wrote. My writing was so awful that I finally sent the manuscript straight to my computer’s recycle. But the idea stuck in the back of my mind and resurfaced every now and then. So once I’d honed my skills, I took another crack at it and believe it turned out much better. Or at least I hope it did. We’ll see. A: Chances are you know someone among who either has Alzheimer’s Disease or is directly connected—by relation or care—to someone who has it. As of this year an estimated 5.4 million Americans are living with AD. That translates to roughly one in eight older Americans. That’s a staggering number, but yet in the public consciousness, AD isn’t as widely considered (“top of mind”) as the dangerous killer that it is; not like say, cancer or heart failure. (AD is the sixth leading cause of death in the US). Cures and treatments for diseases like AD are very expensive to develop, (millions upon tens of millions of dollars of R&D) with the resulting payoff even greater (billions of dollars of revenue for the “drug” or the “procedure”) often creating entire new branches of medicine, with thousands upon thousands of new jobs. This high risk / high reward fact of life for medical researchers and practitioners like me is a natural stage for heroes, villains and high-stakes drama. I try to capture that in my Thrillers, but the true high-stakes drama on the medical treatment/development stage is much more exciting than any fiction; the heroes are by far much more worthy of praise (though they often go unnoticed). I like to see my books as homage to them, at least in some small way. A: I tend to lead a very disciplined life, which, I guess is a deeply engrained work ethic holdover from medical school, residency, and the practice of neurosurgery. A brain surgeon can’t decide to wander into the operating room an hour late or break from sterile technique, or not make rounds on post-op patients. I carry this regimentation over to my writing life. Being a morning person, I sit down at my computer each morning, seven days a weeks, to write. Some days I’m productive. Some days I’m not. But I always do some writing. It’s the only way I can get the first draft, which for me, is the most difficult. I don’t have a set amount of time to write, and when I’m done for the day, I know it. Q: Is there something you need in order to write, such as music? A: I prefer working in silence without distractions. Most often with a cup of coffee next to me. I tend to limit distractions because I know I am easily lured away from the task at hand. Funny, but when in the operating room, I usually had music going. I get asked how that could be. Well, unless I was dealing with an unforeseen complication, surgery was mostly manual dexterity task, so the music cut the drama. In contrast, for me at least, writing requires more concentration to be creative. Especially on the first draft. How should my character react? What would he say? Might sound paradoxical but when starting, say a brain tumor, I where I should end up and how to get there. When writing, such clarity isn’t always the case. A: For thriller and mysteries the authors I admire most are: John Sandford, Michael Connelly, Robert Crais, Stephen King, and Dennis Lehane. I also read a ton of non-fiction and for that I admire any author who can make a dry subject interesting. I read constantly. 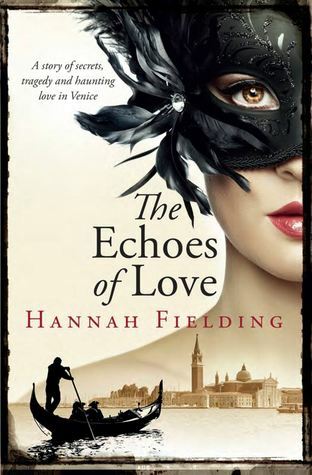 SUMMARY : Set against the breathtaking beauty of Italy, The Echoes of Love is a passionate, heart-breaking romance to ignite the senses and rekindle your belief in the power of love. Seduction, passion and secrets... Venetia Aston-Montagu has escaped to Venice to work in her godmother's architectural practice, putting a lost love behind her. For the past ten years she has built a fortress around her heart, only to find the walls tumbling down one night of the carnival when she is rescued from masked assailants by an enigmatic stranger, Paolo Barone. Drawn to the powerfully seductive Paolo, despite warnings of his Don Juan reputation and rumours that he keeps a mistress, Venetia can't help being caught up in the smouldering passion that ignites between them. When she finds herself assigned to a project at his magnificent home deep in the Tuscan countryside, Venetia not only faces a beautiful young rival but also a sinister count and dark forces in the shadows, determined to come between them. Can Venetia trust that love will triumph, even over her own demons? Or will Paolo's carefully guarded, devastating secret tear them apart forever? The first line of the summary was just about enough for me to fall for the book. I admit! I am shamelessly attracted to anything Italian – be it the culture or the food. Watching too much of TLC channel left me bewitched and besotted with Italian city so much so that visiting Italy at least once in this life time has become top in my “things to do before I die” list. Also, having worked with Italians professionally, I quite enjoy their culture. I had set obnoxiously high standards for this book just because the story was set in Italy. But when the book landed on my door step I did chastise myself for being a hopeless “Italian Romantic”. I almost dreaded that I would come to regret my decision of picking up this book for the book was quite heavy to begin with. It has been ages since I read 400 odd pages paperback copy. Books these days are no longer than 350 pages. But when I finished reading the book I was truly happy for not missing such a beautiful book. To start with, the book cover was beautiful. The eye mask and the title of the book is glossily embossed in black against a beautiful cream background thus giving it a rich texture. Our protagonist, Venetia is a restoration specialist with a traumatic past. The love of her life “left” her and she lost their love child in a freak accident. She escapes from the clutches of her traumatic past and her strict father by moving to Venice to work for her godmother in her architect firm. For some odd reason, Zia (the god mother) reminds me of Meryl Streep from the movie The Devil Wears a Prada. Venetia falls in love with Paolo, the handsome Italian who again has his own share of traumatic past. So do they actually find each other? Obviously yes, they do. But what matters is the narration of the “how”. The narration was bang on. Italy was described so beautifully that with pages that I turned, my desperation to visit that country increased exponentially. To make matters worse the story was written so beautifully. The beauty of courtship narrated against a back drop of a romantic city is indeed an intoxicating combination. Being a late (like horribly late) bloomer in discovering Love & Romance Literature, this story ended up leaving me with a fluttering heart and a flipping stomach! (or a series maybe….) had managed to do that to me. No prizes for guessing which book. My only weeny tiny qualm though would be that there was a bit of drag in story – The book would have been better off without that “evil witch girl” in play. And of course, the climax was predictable, though I can’t really put my finger on why I was able to predict it in spites of a gripping tale with very minimal loophole in the plot. VERDICT: This book is strictly for people who love to read literature and beautiful romances. If you can’t admire the beauty of courtship and true romance don’t dare touch this book. In the newest book from award winning author, SJ Parkinson, The richest man in the world wants to celebrate the July 4th holiday as never before. In a bid to get into the record books, a global fireworks show is staged from orbit. Satellites drop pyrotechnics into the atmosphere, thrilling everyone from the Arctic to the Antarctic with their rich colors and massive explosions in every time zone. Twinkle is one of the few books that ensnared me with the summary and the book cover. It is a science fiction novel, as simple as that and there are added bits of other genres. When the paperback copy arrived, I was amazed by the size of the book. Its length did put me off for a few days from reading it. But Twinkle is worth every page of the story. A different premise altogether offered a promise of a refreshing reading experience and delivered on the promise. A fireworks show goes wrong and turns catastrophic. The one word storyline is woven into a web of thrill and suspense. There is the suspense element, the underlying thrill to reveal the motives. 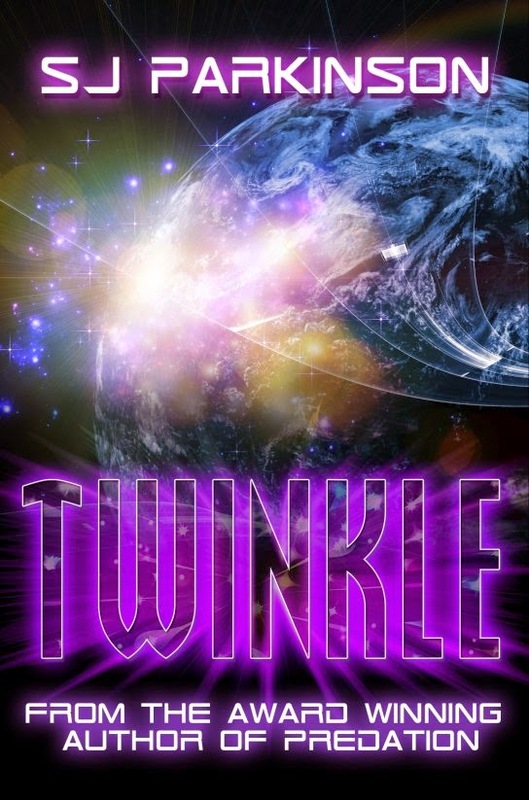 Though predominantly set in the US, Twinkle is a story applicable worldwide. It is something that can happen (and has happened) everywhere. The military concerns (superbly explained by the author) are explained well, aided by the author’s experience in the field. The quest for world dominance by individual nations is a very relatable struggle. Though we’re supposed to be living in a civilised world, stories of individual countries preparing weapons and blueprints to give them scientific/ technical superiority just under the surface keep the tension palpable. Twinkle is a book about how bad it can go, in a totally unexpected way. Therefore it is a book that can be read with heads nodding occasionally. Verdict: Don’t be deterred by the length. Twinkle is one book that should NOT be missed if you are a suspense / thriller fan! HOW I GOT THIS BOOK: Review Copy from the publishers in exchange for an honest review. We thank Fingerprint Publishing for the same. SUMMARY: Zari Zoon, a vivacious girl from Kashmir, is looking forward to marrying her fiance when tragedy strikes. Next thing she know, she is on a plane to America to stay with distant relatives who have offered to give her a temporary home to help her stitch back the tatters of her life. Billy Nabi, fiercely tender-hearted, longs to help Zari but the choices he makes will jeopardise them all. I’ve always regretted not visiting Kashmir when I had the opportunity to do so. My dad resided in Jammu for quite some time and used to describe its endless beauty. He obviously left out the ugly injustice being served to this beautiful place. Since then, I’ve had this fascination with Jammu & Kashmir. Of course, I always knew that beneath the beauty lies a state marred by wars and ridden with unspeakable sorrow. Having never read a proper literature account associated with J&K, I was more than eager to read this book. 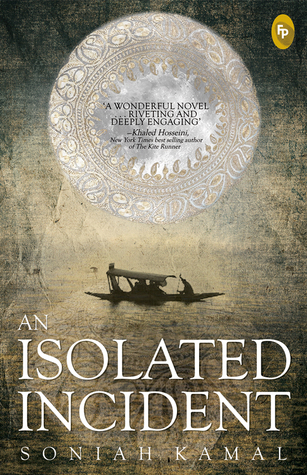 The story is a about a simple Kashmiri girl Zari who loses her family and undergoes a major trauma. She then relocates to USA under the ruse of pursing her education. Her life changes dramatically after Billy comes to her rescue. But then, Billy has his own share of emotional baggage in the form of a burdening past to handle. I can’t possibly elaborate more about the story for I would be depriving the reader of a life changing experience. The narration is filled with raw emotions. It’s been long since a book affected me in such a way. Reading a tale of unspeakable and horrendous injustice experienced by a woman left me choking with unspeakable sorrow. Zari’s narration seemed so realistic that I truly wondered if this story wasn’t a figment of imagination. I really wouldn’t believe that this writer is actually a rookie to Lit Business. The narration, the plot and portrayal of emotions were almost perfect. If at all I had to find a flaw, it would be with Billy’s story line. I could connect with his feeling of lost identity, but his decision to flee USA didn’t pack a punch for me as it normally should. This could be attributed to a slight slack in narration in that part of the story. The characterization was perfect and all the characters had so many facets that at one point I wondered if they were actually modeled after real people. Again, if I really had to find a negative with characterization, it would be with that of Zari’s. A trauma obviously changes a person’s character. I couldn’t understand much of Zari’s character before that “life altering” incident. The cover deserves a special mention. It clearly depicts the beauty of Kashmir but in shades of Brown, which obviously signifies the struggle and injustice. This book changed my perception of Kashmiris and made me understand why they would actually want a separate country. The book also re-emphasized a lesson that my parents drilled in me. Love and compassion are the ultimate medicine to any trauma. VERDICT: A must read for all who whine about the injustice of life. Definitely not for the faint hearted. ABOUT THE AUTHOR: Soniah Kamal was born in Karachi and grew up in London-Jeddah-Lahore and resides in the US where she has called myriad States home. At present she lives in Georgia where Margaret Mitchell wrote Gone with the Wind, Flannery O’ Connor kept pet peacocks and Alice Walker set The Color Purple. Soniah has a BA in Philosophy from St. John’s College where she received the Susan B. Irene Award and is earning an MFA from Georgia State University where she is the 2014 Paul Bowles Fellow in Fiction. Soniah's work is published or forthcoming in the Rumpus, Huffington Post, xoJane, Bengal Lights, Sugar Mule, various anthologies and more. She enjoys long strolls around koi ponds, doodling forests of curlicues. She cannot resist the drumbeat of a dhol and her talisman is a globe in any shape of size. Her favorite activity is time traveling through books. Soniah has shared her life with a sandy dog, a silky cat, two ginuea pigs, one long haired and one short haired, frogs as big as thumbnails, and a multitude of budgies and betta fish red, blue, green and yellow. HOW I GOT THIS BOOK: This book review is a part of The Readers Cosmos Book Review Program and Blog Tours. To get free books log on to thereaderscosmos.blogspot.com"
Get married! Eighteen-year-old Ronit falls madly in love with Aisha the moment he meets her at his graduation day from a naval college. He believes he has found his perfect soul mate, and come what may, his love for her will last forever. But his perception about love and life change when he hears the poignant love story of Shekhar, his Captain, on a ship that later gets hijacked by the pirates of Somalia. This book has been doing rounds in Facebook like forever. I always wondered how a book with that title and tag line got famous. 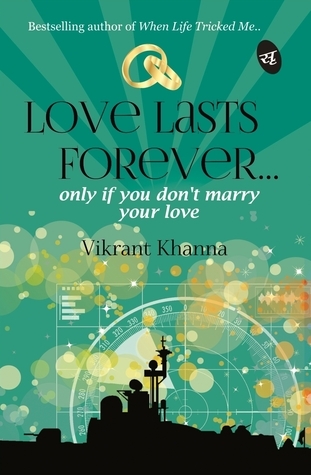 The title and the tag line ticked me off : Love lasts forever – Only if you don’t marry your love. That statement misleading and sort of contradicts the summary. Curiosity got the better of me and I signed up for me as soon as this book came up for review from Readers Cosmos. Thankfully, after I finished reading the book, the title was justified( though it turned out to be a bit ironical). The book back summary is rather well phrased which saves reviewers like me from the explaining what the story is all about without divulging the plot. Our protagonist is a sea farer who narrates the story partially while being captured by pirates of Somalia. The narration switches between his past, present and that of his captain’s past. There is always a factor of risk with time bound and character bound switch in narratives. I’ve read books by writers who messed up with emotions by switching timelines in the narration leaving me with a blinding headache. Thankfully, this writer sure got the switch bang on. I felt Captain Shekar’s story was rather well written when compared to that of our protagonist’s story. This could be attributed to a fact that the writer actually completed Shekar’s story after a prolonged gap in the narrative. Being a short fuse, I was almost prepared to throw this book out of nearest window during that part of the story when Ronit believes it’s his entire wife’s fault that their relationship has gone kaput after wedding. Why does the wife always have to “adjust” with the tantrums thrown by her SIL/MIL? Why can’t the husband actually understand that the poor girl has left her home and needs time adapting? That episode where our protagonist’s love walks out and he doesn’t really care was well written (which obviously is the reason behind “throw-the-book-out” feeling). I concluded that the writer was just another chauvinist who vented his feelings through his writing only to realise I was an absolute fool for the climax of the story blew me away (er…..I can’t tell why for that would give away the story!). Amongst all the positives, the one thing that didn’t really impress me was the whole kidnapping drama. I couldn’t really connect with all the emotion that a person might actually undergo while being kidnapped at gun point by pirates. The writing was simple and clean conveying all emotions intended but sort of slacked during with whole kidnapping scenario. I finished reading the book flat in day for the narration kept me hooked. VERDICT: Intense emotions, addictive narration, why not?! ABOUT THE AUTHOR: A sailor by profession and a writer by passion. P.S. Here is a video that features the writer! Enjoy listening. SUMMARY : "UNDER MY SKIN" - a delightful Parisian version of "Four Weddings and a Funeral" - will entertain you with a gripping story, endearing characters and sizzling romance. Having read the previous book in the series I quite knew what to expect from the writer. The story line is more or less like an extension of her first book or what Americans term as a “spin off”. The protagonist of this book in the series, Jeane didn’t play much of a role apart from being portrayed as Leena’s friend who has a taste for “wrong sort of man” and has this “gothic” addiction. Apparently she is a changed woman in this edition. Of course, we need a suitable hero for our “reinvented” protagonist. Enter Mat, the geek who couldn’t garner a second look from our protagonist in the previous book. He suddenly “grows” in to this ‘oh-so-desirable-hunk’ (apparently a “later bloomer” in our writer’s words). They are virtually like Tom & Jerry only to end up being heads over heels in love with each other. To me, the story line seemed to be almost the mirror of her previous book. May be that can be attributed to the recurring theme of ‘does he love me? Does he love me not?’. To a seasoned reader with an insatiable appetite for unpredictable twists this book proved to be a through disappointment. I couldn’t help but draw similarities between Leena & Rob’s story and that of Jeane’s and Mat’s. Though the latter was a less intense and uncomplicated when juxtaposed with that of Leena’s & Rob’s story, the similarities were simply too much. Much to my disappointment, the writer didn’t describe the backdrop of the story much. In sense, the whole Paris charm was missing. Moreover, I strongly believe Paris would be the perfect backdrop of an Intense romance unlike this story. In spite of the above mentioned shortcomings, the book still turned out to be a nice light summer sort of read. VERDICT: Not bad. Not good.